Focus on your passion. We’ll move the fruits of your labor. We are beer and wine distribution experts. TNG, along with our logistics company partners, Prologix and Acculogix, will get your product to that pub, restaurant, liquor, beer, or grocery store quicker. 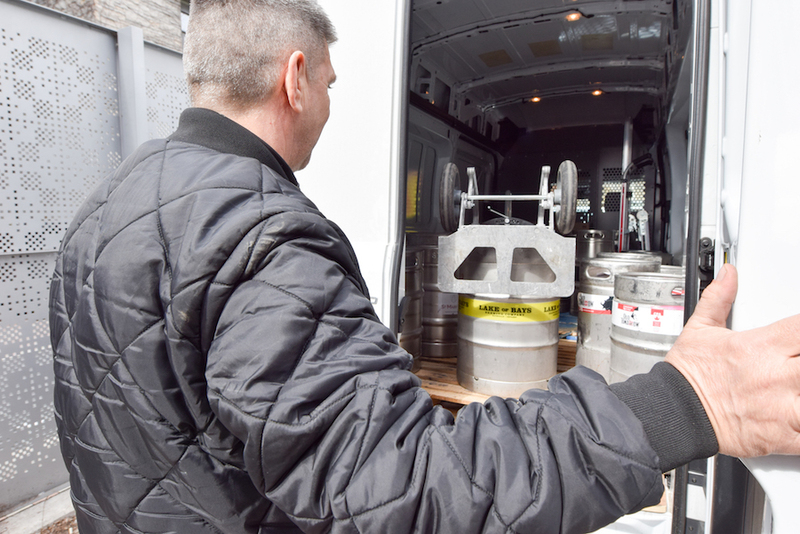 Retailers, licensees, liquor and beer stores benefit from fewer deliveries through the back door – they like that. You’ll like not worrying about appointments, waiting, and generally being non-productive. + You can bank on our ability to increase your in-stock position over having to deliver it yourself. Our network in Ontario, Atlantic Canada and across the nation (with lines into the USA) gives you the ability to grow. We handle your delivery needs; you focus on your core business while containing costs. Our established retail relationships and dedicated in-store space increases reliability and decreases unknown variables. As a result, you win. When your product isn’t there, you’re missing sales. Get it quickly flowing again to keep your tap in the pub. Don’t lose out on that wine being discovered at that restaurant. Get the shelves stocked before the weekend in-store rush. We’re experts in all aspects of product movement management – from delivery logistics to sales. With so many moving parts, stuff happens. But, the way we see it, working with you and your business is like working with partners. Success means we’re achieving it together. Check out the video to learn more and find out what a few of our customers think. View the full version here. It only makes sense, by being responsive to your needs and working with you to solve your logistics challenges, we’ll grow too. Our ever-growing client list, (over 85 now), is testimonial to our dedication to working with our customers and helping them achieve their goals. Below is a very small sampling of our partners. Our flexibility and ability to meet all of your distribution needs. For example, our warehouse can receive your product in the morning and in many cases, depending upon when it’s ordered, we can get it going to where it needs to go in the GTA by the next day. How many retail locations do you currently go to? Currently we service 9, 000+ retail and licensee locations with 100 corporate trucks. Do you have cold storage? We have 300, 000 ft2 warehouse space, with 70, 000 dedicated to wine & craft beer. Plus, we are currently expanding our cold storage. How do you organize your deliveries? Multiple deliveries in the downtown core of Toronto ensures an in-stock position. Once we deliver the dense regions, the outer core is serviced.